It is a proud day at Delwest, Denver’s progressive property development company. 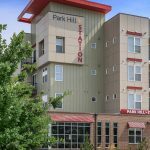 Park Hill Station, our new apartment community located at the intersection of I-70 and Colorado Blvd., is now open and leasing to tenants. Best of all, the RTD commuter rail station that’s adjacent to the community is set to go online in less than a month, providing residents with easy, direct access to both Downtown Denver as well as Denver International Airport, all without having to get in their car or sit in I-70 traffic. Delwest bought the land that has since become Park Hill Station in 2003, based on the 50,000 cars that pass by the intersection daily and the long-term plans for a light rail stop somewhere in the area within the decade. It took a little longer than expected for the rail line to arrive, but now the site has become an ideal residential development that is proving very popular. Case in point: Our market-rate units in the community were 98% rented as of their opening last year. 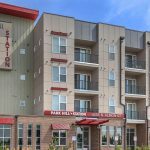 Best of all, we’ve been able to extend the benefits of Park Hill Station—easy access to public transportation, high-quality amenities, brand new construction, an ideal location between Downtown and DIA, and more—to low-income Denver residents as well. The completed project includes 156 affordable units and 168 units that lease at market rates that we could never have anticipated in 2003. It is a successful project on all fronts. And Park Hill Station is the perfect example of our corporate values in action. 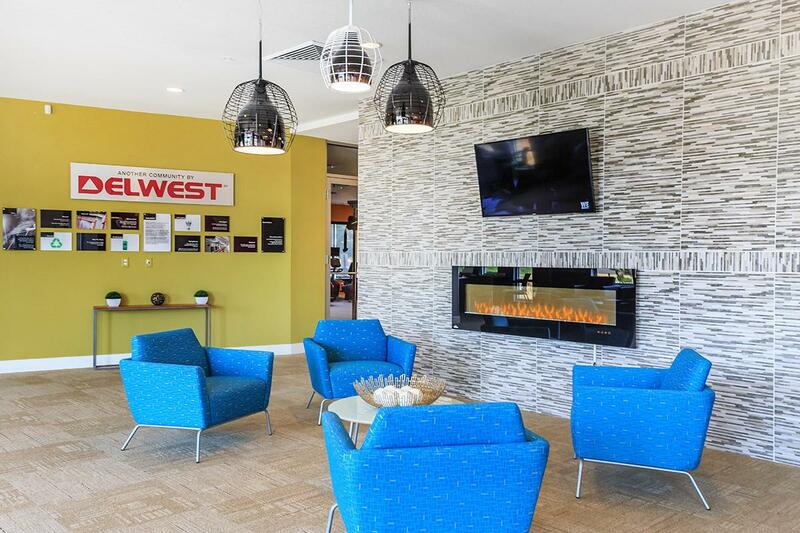 As a progressive property development and redevelopment company that has been active in the Denver area for more than 20 years, Delwest is dedicated to having a positive impact on the community by exemplifying authenticity, enhancing our shared spaces and promoting healthy lifestyles. We do this by developing and maintaining a full suite of residential properties designed to meet the needs of all Denver residents, not just the wealthy. Our portfolio includes multi-family affordable and market-rate rentals, single-family homes, property management services, as well as distressed real estate properties that we’ve redeveloped into usable spaces.